Welcome to Prairie Story Recipe Swap Thursday! In the spirit of summer time grilling and the simple fact that it is too darn hot to cook anything inside, I'm sharing two of my favorite grilling sauces and marinades! But first, the most popular recipe from Recipe Swap Thursday last week was Chocolate Peanut Butter Crunch Bars @ Captive Creativity. Always a favorite! These are very similar to Prairie Story's Chocolate Peanut Butter Krispie Cake! 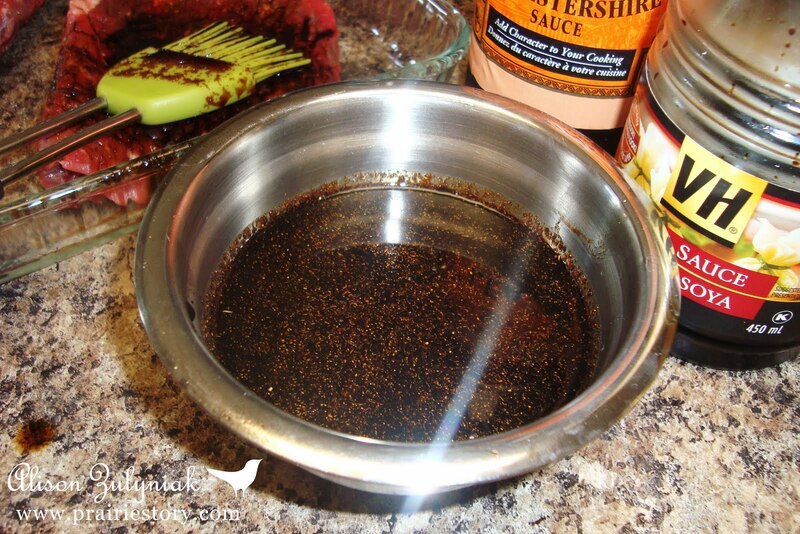 So here are my two lip smacking grilling marinades / sauces! 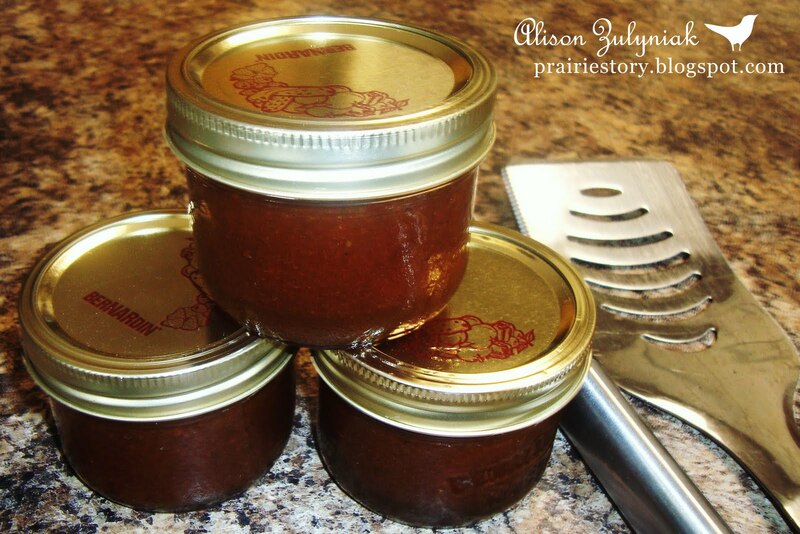 I just made a nice big batch of my Caramelized Onion BBQ Sauce. It really is the BEST homeade BBQ sauce ever. It's good on any type of meat, either as a marinade or as a sauce! Next, is my Ginger Soya Steak Marinade. So tasty! I'm addicted to it. Try it! I'm sure you'll love it too! Both those sauce/marinade recipes sound fantastic, but I'm particularly keen to try the caramelised onion BBQ sauce - I love that it has beer and coke in it! The flavours sound like they would blend together amazingly well. Thank you for hosting, Alison! Thanks for hosting Alison! Always love linking up and seeing what other goodies are out there! I am glad to be reminded. I want to make your barbecue sauce, but keep forgetting to buy the beer. The marinade sound great, too. I really like soy and ginger. Today I bring Bacon/Cheese Dogs in Blankets. It looks like several bloggers have been thinking along the same line. Thanks for hosting. I am off to check out some of the links.